Seemingly one of the more youthful police officers in the Park County Police, Officer Stevens is eager to impress his fellow officers with his good humor. He once bragged and joked to his fellow officers about his physical attraction to musician Lorde. Though he shares aggressive tendencies with his fellow officers, he also has a sensitive side that is best on display when he interacts with Randy Marsh. Like all of the Park County Police, he can be very aggressive, notably threatening Eric Cartman with a charges for resisting arrest if he did not agree to say the catchphrase "I'm white trash and I'm in trouble" on television; and like all of his fellow officers, he is equipped with a pistol and exhibits no fear using it. Stevens cares a great deal for his fellow officers' opinion of him, disappointed when they don't find his joke funny in "#HappyHolograms"; he is also shown to one of the officers who suffers most at the hands of angry protestors in "Naughty Ninjas", being harassed at Whole Foods. He is also sensitive to Randy's desire to impress his wife after a school shooting. Stevens is most notable for his strong eyebrows and sideburns, as well as his slightly smaller head and strong chin. He has dark brown hair and wears a standard Park County Police uniform in dark blue with a black tie. He has a larger belt and holster than his fellow officers. Stevens has interacted with Randy Marsh in a number of his appearances, and seems to have a fondness for him. When PiPi's Splashtown was nearly destroyed in a tsunami of urine, Stevens was the officer specifically ordered to shoot Randy, but it didn't come to that. He exhibited an attraction to Lorde, joking that Randy couldn't possibly be what he masturbated to on the previous evening's Tonight Show episode, only to be embarrassed when his co-workers didn't laugh. He also felt Randy's efforts to appease his wife were everything he could do, and suggested that if Sharon didn't appreciate him then, she never would. 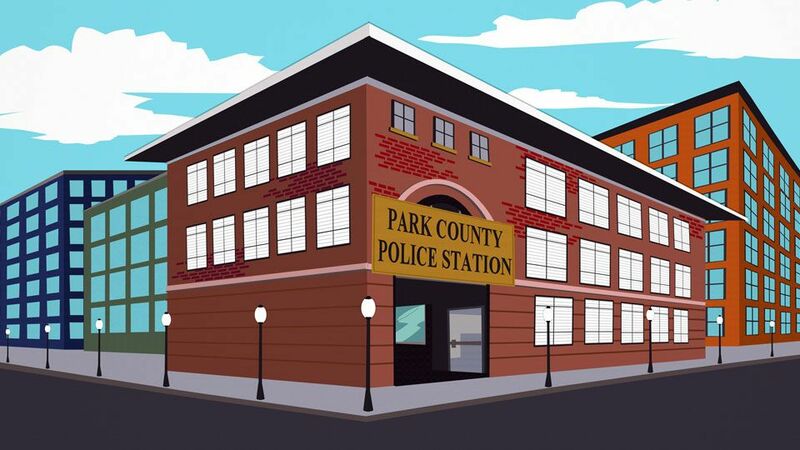 Although all officers at the Park County Police Station are co-workers, Stevens is most often shown alongside Officer Peterson and of course, alongside lead detective Harrison "Harris" Yates. Stevens is one of the main officers in the Park County Police, and is usually present for any large field cases or activity, whether it's arresting poor people making drugs or investigating yet another school shooting. Like his fellow officers, Stevens is usually seen either out in the field hot on the case, or back at the Police Station, trying to file reports or kicking back and relaxing. Stevens appears briefly in a few cutscenes alongside his fellow officers, but makes no appearance in gameplay as either a combat opponent or Coonstagram follower. Stevens is voiced by series co-creator Trey Parker in most of his appearances. He shares his surname Stevens most prominently with Bebe Stevens and her family; no relation between the characters is confirmed at this time. He also shares it coincidentally with Chief Stevens, who works out of Nebraska.